Despite hurdles to find a pet friendly place–it seems as though the rental industry may need to change to accommodate the demands as pet owning households increase. Nearly 90 percent of the renters who responded said they have a pet. Of the renters surveyed that do not currently own a pet, more than half plan to become pet owners within the next year. More than 80 percent of respondents said a pet-friendly policy played a major role in where they chose to live and 30 percent sought out an apartment in close proximity to desirable pet amenities such as dog parks, walking trails and a veterinary office. Apartments.com has seen an upward trend of more and more properties welcoming pets. For survey respondents who said they were forced to give up their pet(s), the two main causes were identified as not being able to find an apartment with a pet-friend policy (65%) or not being able to afford the pet deposit (27%). More than half of renters surveyed said they paid more than $200 for a pet deposit, and nearly 60 percent said they would be less likely to rent an apartment requiring a pet deposit. I’ve discussed this issue previously and suggested renters construct a Pet Resume. In addition, you might want to read this post on the Mortgage Crisis & Homeless Pets. 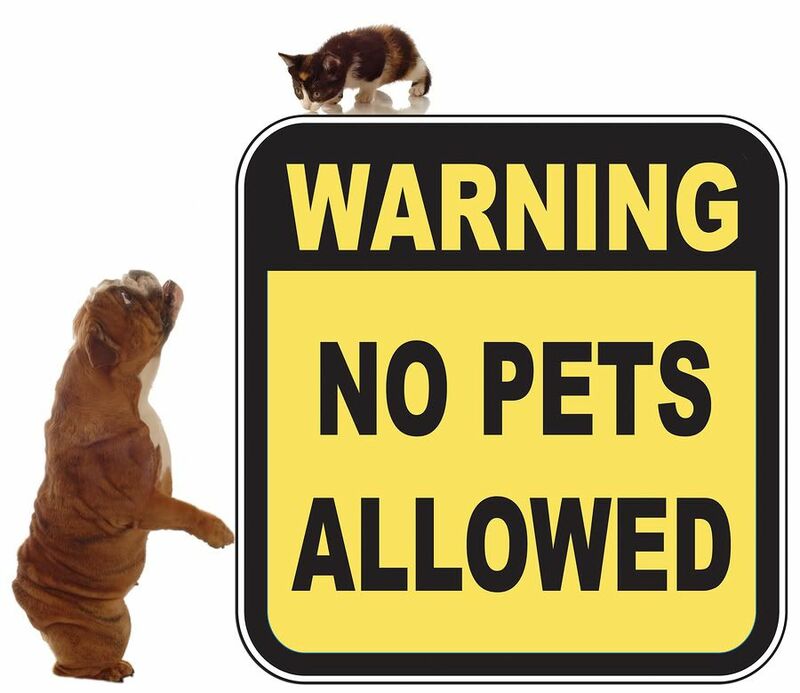 If you have plans to get a pet make sure to check that it is okay before signing the lease. If you are seeking a pet-friendly place, begin your search online. Most online apartment search sites allow users to conduct a pet-friendly apartment search. Be sure to ask your potential landlord if there are any size or weight limitations. Some buildings may even prohibit specific breeds. Plan on paying a pet deposit. Some properties charge an additional deposit to renters with pets, or may even ask for a monthly fee for pet rent. When visiting a potential rental, confirm any additional costs associated with owning a pet. Remember to also ask if the deposit is refundable or non-refundable. Will this mean that the rental industry will change?